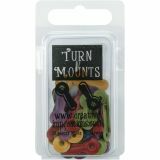 Painted Metal Turn Mounts 50/Pkg - CREATIVE IMPRESSIONS-Large Metal Turn Mounts. 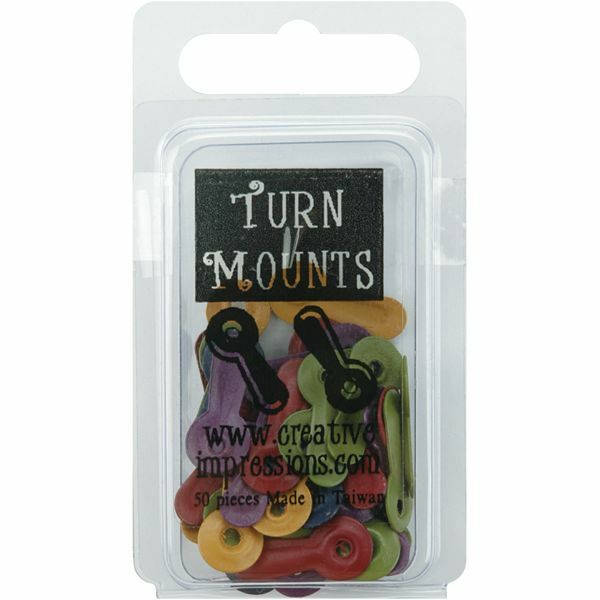 These fasteners are perfect for scrapbook layouts, greeting card and all paper craft projects. This package contains fifty 3/4x5/16in Assorted Heritage Matte Painted Turn Mounts in blue, purple, green, mustard and burgundy. Imported.